A Season Of Giving For Ballaro Dance! Tuesday, November 29th is #GivingTuesday -- a global day to give back! Won’t you consider choosing Ballaro Dance as a place to make your impact? Check out a note below from one of our company dancers, Sasha Smith! 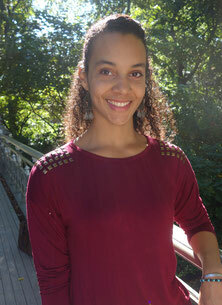 I'm Sasha and I have been creating and performing with Ballaro Dance for the past three years. We just began rehearsals launching into our 4th season and I'm incredibly motivated by the new work Marisa has in store for us! I love what I do because when I arrive at our weekly rehearsals, I feel a sense of homecoming. There's a ritual of the company gathering together as people, dancers and artists, among the hustle of our NYC lives in the hopes of creating art that speaks from our hearts but also resonates with our audience. This is a practice that frames my daily life. I've come to know and love this process not only as my profession, but as a driving force in my life. I so often say the phrase "sorry I can't make it tonight, I have rehearsal," but most people around me don't truly realize what my investment of both time and energy is going toward. Recently, a friend of mine was surprised to hear that all those hours of weekly rehearsal amount to just one concert and sometimes only a brief weekend of performances. Though the preparation and exploration of movement often far surpasses the amount of stage time, it’s the reason why the process is so important -- it's what makes the final product so rich! As a professional dancer, rehearsal is my craft; it’s part of my daily routine and a part of who I am. If you have seen one of our performances over the past three years and you’ve enjoyed your experience, I ask that this giving season you consider making a donation to Ballaro Dance. Together, we can continue to make art happen! A donation of any size will support the rental of rehearsal spaces and performance venues, our travel and performance stipends, the creation of new costumes and our technical needs on stage, as well as enable us to apply for more opportunities to present the work -- it is an investment not just in our new dances, but in dancers like me. Tuesday, November 29th is #GivingTuesday. I humbly ask you to join our season of giving campaign and I hope to see you at one of our upcoming performances in 2017!